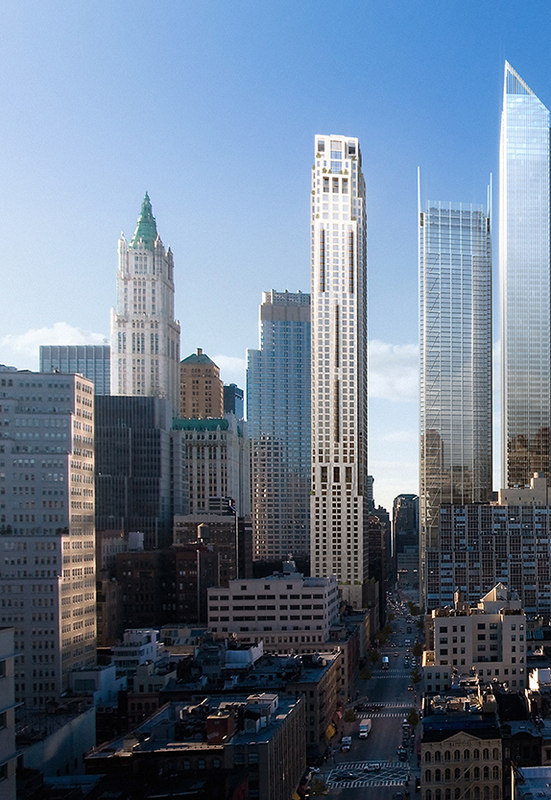 As with the earlier design for 15 Central Park West, Robert A. M. Stern Associates employs a classical vocabulary of masonry walls and picture windows to refer to the traditions of historic architecture-in counterpoint to both the all-glass office towers of the World Trade Center, both planned and currently under construction, and to the Gothic spire of the Woolworth Building which occupies the same block, just east of 30 Park Place. In its height and slenderness, 30 Park Place relates to the office-building ensemble at Ground Zero also being developed by Silverstein Properties. The 82-story limestone-clad structure is a mixed-use project, with a 185-room hotel, The Four Seasons Hotel New York, Downtown, on the lower 21 floors. The remainder of the tower, known as the Four Seasons Private Residences New York at 30 Park Place, will comprise 157 luxury condominiums, including full-floor penthouses and setback terraces, with some private residences as large as 6,000 square feet. 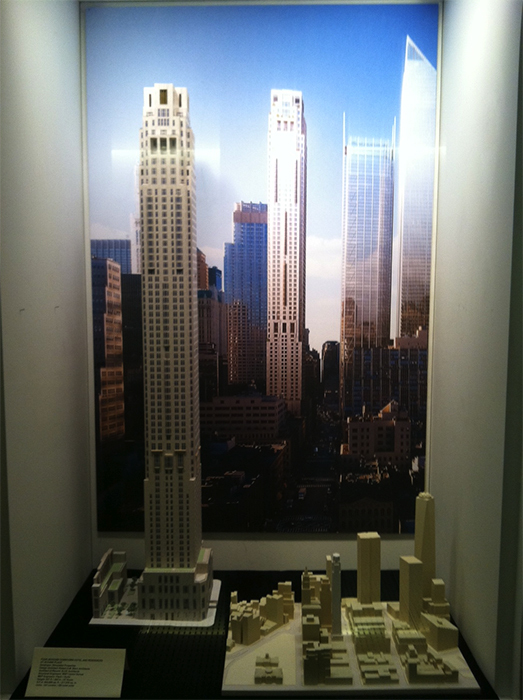 A rendering 30 Park Place with the Woolworth Building to its left and towers of the World Trade Center to its right. Image credit: dBox. Courtesy of SPI. Using slenderness as a strategy to lift its residences high in the sky, the tower also pulls as far away as possible from the Woolworth Building-once the world's tallest building-which it now overtops. A courtyard to separate the two, allowing 30 Park Place to rise, as does Woolworth, as a free-standing structure.